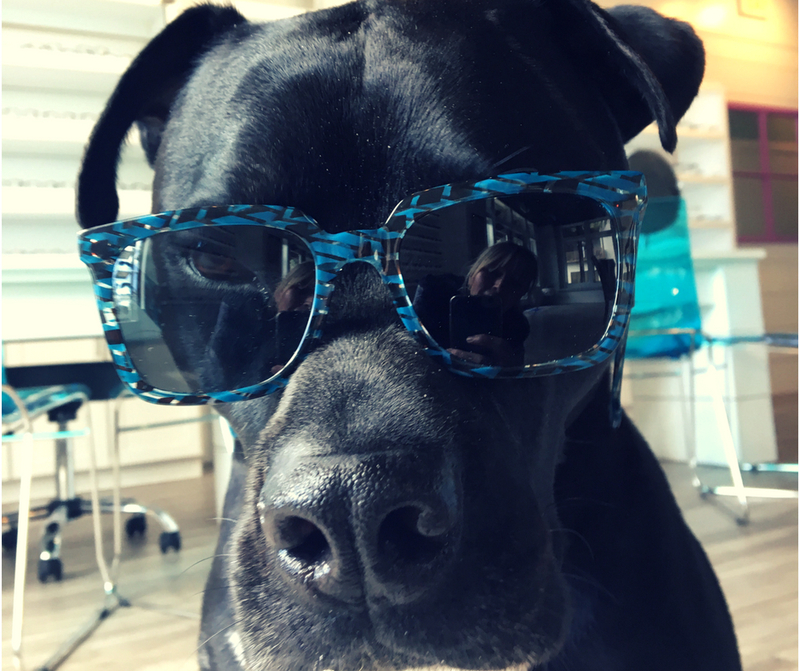 It’s National Sunglasses Day! Recognized on June 27th, National Sunglasses Day is an annual commemorative campaign brought to you by The Vision Council celebrating sunnies and sharing the importance of UV eye protection. On National Sunglasses Day we would like to remind everyone that while wearing sunglasses is a fabulous fashion accessory, they also protect our precious eyes from the sun’s harmful ultraviolet (UV) rays. As most of us can already feel this summer is shaping up to be a hot one on the Emerald Coast, so whether you are cooling off in the water, headed offshore for some fishing, or cruising 30A by bike, make sure you are wearing UV protective eyewear. As you know UV radiation is damaging to your eyes and not wearing the proper UV protective eyewear can contribute to cataract formation, macular degeneration, skin cancer, pterygium a.k.a surfer’s eye, and the oh so dreaded …wrinkles! The single most important thing to look for when buying sunglasses to protect your eyes is that they block 100 percent of UV rays. In addition, you will want to add polarized lenses to block unwanted glare which can degrade your vision and make it seem hazy. The views here on the Emerald Coast are breathtaking, polarized lenses help you see objects more clearly and colors more vividly. Fishermen and seafarers know that polarized lenses are the only way to see what lies beneath the surface making them a must-have watersport accessory. Reward yourself and protect your eyes with a new pair of luxury sunglasses from us at Optikk 30A. We are proud to offer sunglasses from Maui Jim, Costa, Anne et Valentin and Etnia Barcelona and would be happy to help you find your perfect fit. Need prescription sunglasses? We can handle that too! Come by and see us at our optical boutique located in Redfish Village along scenic 30A in Blue Mountain Beach. Oh, and don’t forget to join in the celebration of National Sunglasses Day by wearing your favorite pair of sunnies and sharing a photo on social media today (June 27th) using the official campaign hashtags #NationalSunglassesDay and #SunglassSelfie. If you got them from us add #optikk30a. Enjoy the sunshine and protect those peepers!